The principal is the amount of the loan, or the cash actually borrowed. The interest is the amount the lender charges for the use of funds, or principal. Interest rates vary according to many factors, including terms and conditions of the mortgage as well as a borrower’s credit history. 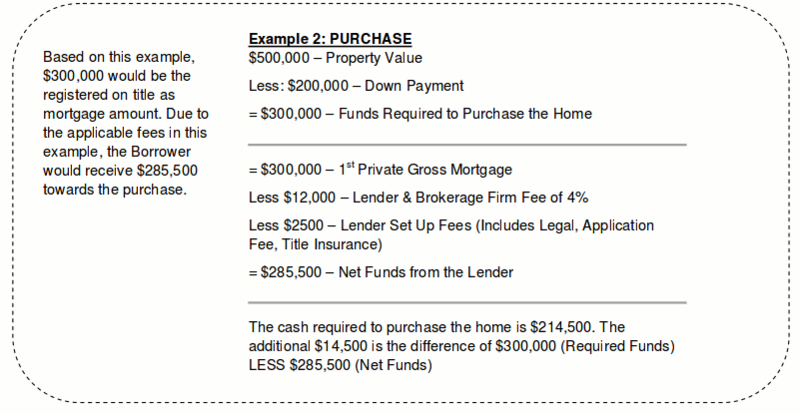 Mortgage payments are usually applied toward both principal and interest. The maturity date marks the end of the term, when you can either repay the balance of the principal or renegotiate the mortgage at interest rates in effect at that time. If you should choose to repay the balance or renegotiate the mortgage before this date, penalties may be charged. Adjustable, as with the variable option above, interest rates will change with market conditions however any change in interest rate will result in an increase or decrease in payment. This option should be considered with great care as an increase in rates could results in payments outside you budgetary limits. Your mortgage professional can help you decide which option is best for you by talking to you about current market conditions and expectations on future rate changes, as well as the risk you are willing to assume within your personal budget. Many lenders offer products which will allow you to carry your current mortgage to a new home should you decide to move. The options vary by lender so please consult your mortgage broker if this is something you may be planning in the near future. Regardless of the type of loan (fixed/variable, term, amortization) most lenders will have guidelines that will allow you to pre-pay a portion or percentage of your mortgage in advance of the end of the term. Such conditions often include an option to double up a payment or pay an extra 10-20% each year on the amount of principle borrowed. These conditions should be considered with care should you anticipate any ability to make larger mortgage payments in the future. Pre-payments can make a drastic difference to the interest incurred over the life of the mortgage as they are applied only to the principle amount and not divided between principle and interest as your regular monthly payments will be. A quick close special is a discounted rate that applies if your mortgage is closing in the next 30-45 days. Lenders do this because it costs less to hold a rate for shorter period of time. Plus, there is a higher likelihood of a mortgage closing if the client applies within 30-days of funding. Lenders are therefore actively pursuing quick-close borrowers with their very best rates. Generally, anyone that has committed to a lender 3-4 months in advance will not benefit from the lender’s lowest rates. Conventional Mortgage: The loan amount does not exceed 80% of the property value, defined as the lesser of the purchase price or the appraised value. If you are buying a home as a rental property you will be required to have a minimum down payment of 20%, resulting in a conventional mortgage. High-ratio Mortgage or National Housing Act mortgage: The principal amount is more than 80% of the property value up to 95%. By law, a high-ratio mortgage must be insured against borrower default (the borrower not being able to make mortgage payments). The borrower pays a mortgage insurance premium (a percentage of the total loan amount) which can be added to the mortgage loan or paid in a lump sum in advance. There are various organizations that offer mortgage insurance. Certain lenders will have a preferred organization that they may use exclusively. There are also programs offered by mortgage insurance companies that include vacation properties, new to Canada buyers, energy efficiency rebates, and more. Your mortgage professional can help ensure you are insured under the right company with the right product. There are various sources available for your down payment. Below is a list of traditional sources and non-traditional sources. Non-traditional sources, although available, may come with higher interest rates or require higher insurance premium as noted in the table above. Make sure to talk to your mortgage professional about the implications of these sources. The more information and supporting documentation you can provide your mortgage professional up front, the more likely your approval process will be completed quickly. Once you have returned the application package, you will be provided a document checklist detailing the items that will be required to formally submit for lender review and final approval. Approval will depend on your ability to afford your monthly payments. Assets such as; balances in saving and checking accounts, RRSP and investments balances, vehicles you own as well as other properties combined with liabilities including; other mortgages, credit cards and loans will decide your ability to make these payments. Information regarding the property you plan on purchasing including any monthly strata fees, property taxes, heating source, MLS listing and address (civic and legal), closing costs (usually around an additional 1.5%), Land Transfer Taxes. Letter of employment stating employment conditions: hours, salary, any probation conditions. Self Employed? – 2 years NOA and proof of 2 years business for self, Incorporations documents or GST number. Any other information regarding other sources of income. These can include but are not limited to: settlement payments, disability payments, alimony, government grants including child tax benefits and bonuses paid by employer or recent changes in such arrangements that could increase your income. Source of borrowed funds, ex. Line of Credit/VISA, if qualified. ✔ Most Common mortgages offered by Regular Lending Institutions & thru Mortgage Broker Lenders. ✔ If a borrower is purchasing, the minimum down payment is 5%, however $0 down (flex down) mortgages is available with select lenders. ✔ If a borrower is refinancing, the equity within the property must not be below 20% of the property value. ✔ Over the last few years, the best 5 year fixed rates have around 3%. ✔ The terms for these mortgages generally range from 1 to10 years, and amortization are as long as 30 years depending on the type of mortgage and lender. ✔ Pre-payment penalties are usually IRD (Interest Rate Differential) for closed fixed mortgages and 3 month pre-payment penalty for variable closed mortgages. ✔ Offered by some Lending Institutions & thru Mortgage Broker Lenders. ✔ Minimum down payment is generally 10% from own resources. ✔ If refinancing, the equity within the property must not be below 20% of the property value. ✔ The terms for these mortgages generally range from 1 to10 years, and amortization are as long as 30 years depending on the type of mortgage. ✔ Rates are a bit higher due to credit or income deficiency, and have a starting point of 1% higher than Traditional Mortgage rates. ✔ Not offered by Traditional Lending Institutions. Select Brokerages specialize in this area. ✔ Minimum down payment/equity is generally 15% to 25% is required with most private lenders, however Amansad Financial has relationships with some lenders where 10% down payment options are available in select situations. ✔ The terms for these mortgages generally range from 3 months to 3 years. 12 months is the most common, and renewal is almost a guarantee with perfect payment history. ✔ Pre-payment penalties are generally 3 months pre-payment for a closed mortgage, and will be fully open on Open Mortgages. Open Mortgages are generally subject to higher rate and/or fees. ✔ Rates are a bit higher due to credit or income deficiency, A 1st mortgage rate generally will start at 4.50% for a property that holds 50% equity. As the equity decreases the rate increases with the risk. Second Mortgages generally start at 10%. Every situation however is a case-by-case basis. Purchasing and refinancing using a private lender is different than the traditional method. The first thing that a borrower must know, is that private lenders do not issue pre-approval letters like some traditional lenders, so much of the pre-qualification is based on the broker that you are working with to provide insight on what you may or may not qualify for. We provide pre-qualification emails. Each Private Lender has their guidelines and comfort zones on how much they are willing to lend out based the Property Type, Property Location, Down Payment/ Existing Equity, and The Applicant(s) ability to repay from an income standpoint. Applicant(s) credit holds little weight. Generally, the larger the down payment/equity, and the more information the borrower(s) can provide; the more options that Amansad Financial Services will have available to secure new financing. 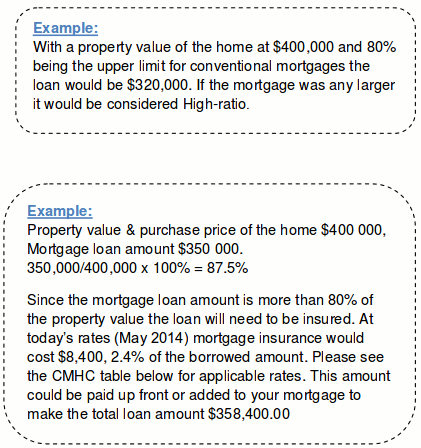 What costs are associated with a Private Mortgage? Fees will always apply when using a Private Lender. The Fees associated with obtaining a private mortgage will come from the Lender, and Brokerage Firm arranging the mortgage. Fees for a 1st mortgage within the industry, some lenders charge as high 10% of loan request. That would mean that a $250,000 mortgage would total $25,000 combined for the Lender and Brokerage Firm. Lender Legal/Set up Fees would be an additional cost. The relationships we have in place generally have the combined Lender and Brokerage Firms Fees ranging between 4-5% of the loan request, and it is rarely more. A $250,000 mortgage requested using our services would cost a borrower $10,000 combined between the Lender & Brokerage Firm. Lender Legal/Set up Fees would be an additional cost. As an Alberta Based Mortgage Broker with DLC Brokers For Life Inc.; Amansad Financial provides standard traditional bank financing, non-traditional, and private equity creative solutions to customers. Amansad Financial focuses on Alt-A lending by way of Private Equity Lending & Alternative Mortgage Solutions. Borrowers generally cannot obtain traditional financing. Many of our Customers generally have challenges that can be overlooked with our private mortgage lending partners. If there is adequate equity or down payment, security, or a combination of both… a solution will likely be found. Borrower credit is the least of our worries.